The 993 Porsche 911 represented the last of the air-cooled 911’s and marks the end of an era before Porsche chose to go down the water-cooled route with the next generation of 911, the 996. Described by many as the last of the true 911’s, the 993 is becoming more collectable and desirable by the moment and this latest 993 Carrera Cabriolet here at Hexagon classics is one of the very best available today. The 911’s horizontally-opposed 6-cylinder engine is located at the rear, putting the weight of the engine on the driven wheels which aids greatly in increasing traction. The 911 is built to withstand extremes of stress which are rarely encountered on public roads. Much of this exceptional reliability and usability is down to Porsche’s constant use of Motorsport as a proving ground and development platform for the components of its road cars. For the 993 to achieve maximum performance and a generous spread of torque, cylinder charging was further optimised by adding variable length inlet tracts to the two-stage tuned intake system. This was known as Varioram, and boosted torque at low and medium engine speeds, making torque more progressive, whilst at the same time ensuring maximum performance at peak revs. The engine produces 285 HP at 6,100 rpm, maximum torque is 340 Nm at 5,250 rpm. 0-62 mph takes just 5.3 seconds. 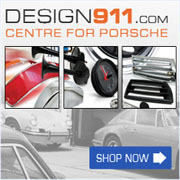 The 993 has a hydraulic dual circuit braking system with 4-piston aluminium fixed callipers. All brakes are cross-drilled, ensuring optimal braking even in wet conditions.